Paradise Pearl is the northernmost of the resorts on Long Beach, so if you’re walking here you’ll stumble out of the forest and into Paradise Pearl. Ad Book now! Rates from US$89++. Average rating 8 from 1,571 reviews. The 47-room resort is a collection of concrete and wooden bungalows plus several rooms set in a two-storey configuration running back under a leafy canopy from the beach. Of these the upstairs ones are by far the better option -- they’re clean, well-maintained and are easily large enough to sleep four or five people. The ones closest to the beach have some water views from their large balconies but further back you’ll need to settle for glimpses of azure through the trees. 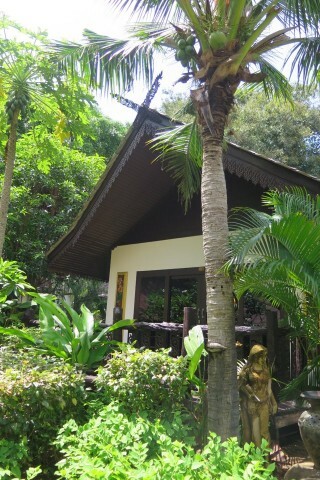 The newer bungalows are really quite attractively designed in a Thai contemporary style using a lot of wood with canopied beds and a large bathroom with a dressing area. All rooms are air-con and include double beds, hair dryers, safes, kettles, mini-fridges and satellite TVs. Some rooms are furnished with an extra single bed, and there’s one family-sized bungalow available. Low season rates are very competitive for the standard (for Ko Phi Phi). Reservations are not accepted by email or phone, only through their website. Be sure to try for a discount in low season. Prices listed below include breakfast.